Lea-Anne Jackson, a Ten Thousand Villages board member, told me they need a “Christmas miracle.” Let’s be that miracle. 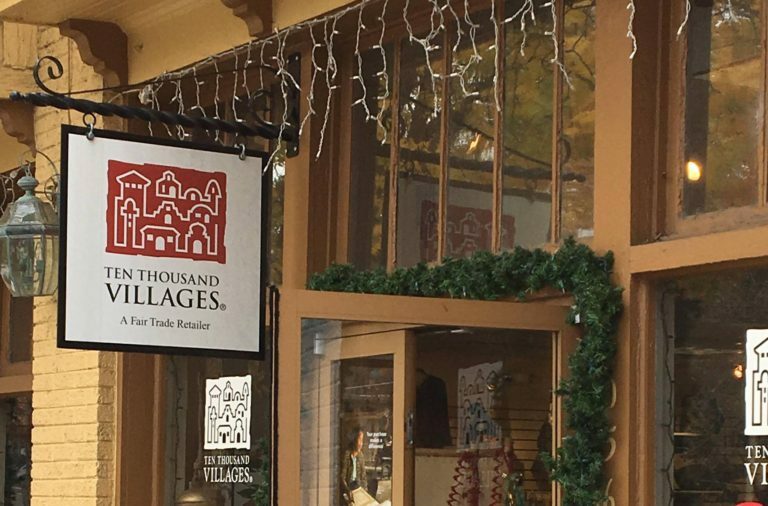 Let’s show our support for this little shop and its mission by joining together for a Highland Stroll for Ten Thousand Villages on Saturday, Dec. 10 at 11 am. We’ll gather in North Highland Park at the corner of N. Highland and St. Charles and stroll the short distance to Ten Thousand Villages where we can shop, make a donation, or just show support. I know this sounds like the plot to a sentimental holiday movie but I have to admit that bringing a sentimental holiday movie to life actually sounds like fun to me! (We may even sing one specially customized holiday song but if you’re not into that you can just pretend you don’t know the rest of us!) Let’s show that Virginia-Highland still has a heart and soul and take this stroll. I know we’re all busy this time of year but this will take very little time and should put us all in touch with the holiday and community spirit. Hope you’ll join in and tell your friends and neighbors! Please see our Facebook page, Friends of Ten Thousand Villages, Virginia-Highland. The event has also been posted on NextDoor. Ten Thousand Villages is located at 1056 St. Charles Ave. They are open Mon-Sat 11 am-6 pm, and on Sunday from 1-5 pm. You can read more about Ten Thousand Villages here. Disclaimer: I have no professional or financial connection to Ten Thousand Villages. This entry was posted in news and tagged 2016, tenthousandvillages by John Becker. Bookmark the permalink.